For details of Allaway’s Services in your area please contact our sales office on 01239 814 550 or use our contact form. If you continue to use an espresso machine with a steam boiler without the required testing, you will be in contravention of the Pressure Systems Safety Regulations 2000 which will firstly, invalidate a comprehensive insurance claim made regarding any incident on that machine. (eg scalding of operator or greater.) Secondly, since the explosion at the Sainsbury's Supermarket in Farnborough with 13 casualties, the Food Hygiene HSE inspectors in a number of areas are already requiring proof of certification, and without this, after a period of grace to obtain certification, they will stop the use of that machine until proof of a successful test is provided. 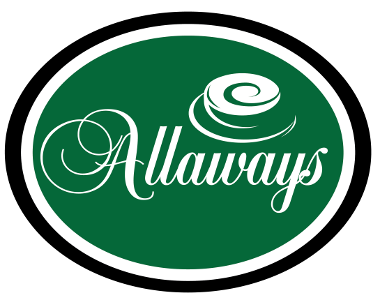 All espresso coffee machines hired from Allaway’s Coffee and Tea Company are fully maintained and serviced at no additional cost to the user other than the agreed monthly fee for the period of that contract. All the required legal certification and testing of the equipment is included in that fee. When a machine is due for boiler certification testing within our area, we can exchange the espresso machine with an approved machine on loan with current full certification enabling the user to continue dispensing beverages without the disruption of inspection on site while your machine is being tested. If you own your espresso coffee machine, you may wish to consider a Service Level Agreement with Allaway’s Coffee and Tea Company which will include the yearly pressure test by an independent certified inspector. Allaways aim to provide a high-quality maintenance service for espresso coffee machines. Preventative maintenance together with prompt emergency repairs will provide you with the peace of mind that your operation will continue with minimal disruption. If you are arranging your own testing on your premises, you will have to arrange for your machine to be stripped down by your maintenance engineer enabling a certified independent inspector (normally one recommended by your business insurance company) to inspect the steam pressure equipment for that machine. The machine then has to be reassembled and tested to full pressure working conditions. The inspector is not allowed to carry out any dismantling or assembly work on the machine. If the machine fails for any reason and cannot be repaired within the allotted testing period, (spare part required and not available) then a second inspection visit will have to be arranged and your machine cannot be used until it has been passed. Under the Pressure Systems Safety Regulations 2000, a written scheme of examination is required for most pressure systems. Exempted systems are listed in the Regulations. Generally speaking, only very small systems are exempted. The written scheme should be drawn up (or certified as suitable) by a competent person. (as defined by the Pressure Vessels Regulations 2000) It is the duty of the user of an installed system and the owner of a mobile system to ensure that the scheme has been drawn up. You must not allow your pressure system to be operated (or hired out) until you have a written scheme of examination and ensured that the system has been examined. The written scheme of examination must cover all protective devices. It must also include every pressure vessel and those parts of pipelines and pipework which, if they fail, may give rise to danger. The written scheme must specify the nature and frequency of examinations, and include any special measures that may be needed to prepare a system for a safe examination. The pressure system must be examined in accordance with the written scheme by a competent person. For fired (heated) pressure systems, such as steam boilers, the written scheme should include an examination of the system when it is cold and stripped down and when it is running under normal conditions.